Last month Citi announced plans for a digital-only bank. Citing its shrinking physical presence, Citi will develop a service that will be available nationally, through a separate app, within the next three years (read the Business Insider story here). This is nothing new: CapitalOne acquired ING Direct and renamed it CapitalOne 360 in 2012—one of the earliest moves toward all-digital banking. A slew of banks followed: Goldman Sachs, JPMorgan Chase, and Wells Fargo are just a few of the big names that have created their own version of an all-digital bank. But what about the not-so-big names? Should community banks and credit unions follow suit? The value proposition of convenience is certainly a compelling one: 86 percent of consumers surveyed want to make payments online; and more than 60 percent want to do everything online—from open accounts to apply for mortgages (for most people, the largest transaction of their entire lives). The potential bottom line benefits are certainly compelling too. When Radius Bank launched the direct-to-consumer digital banking platform it built with NYC-based fintech company Mantl in 2017, it resulted in a 60 percent decrease in the time it takes to complete an application—and a 50 percent decrease in costs-per-account opened—as well as 30 percent increase in online account openings. Commit to the application of data and advanced analytics for the streamlining of internal operations, measuring of results, and creation of an improved customer/member experience. Digitize your customer engagement process, from the ability to onboard new customers/members who can open new accounts or complete applications through any channel or switch from one channel to the next without starting over. 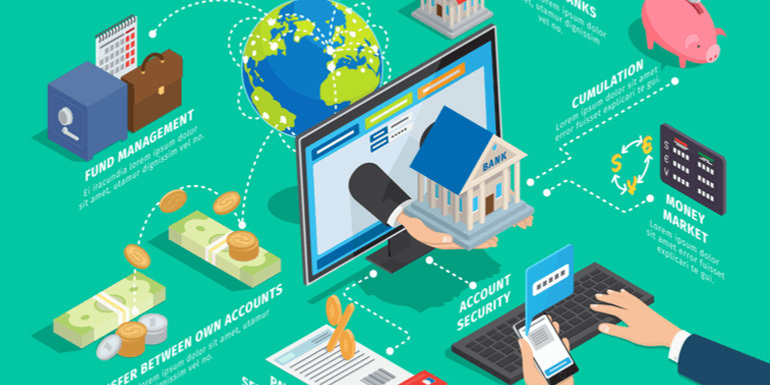 Digitize your back office processes; the new digital bank needs one common digital infrastructure that underpins the whole organization. Identify new digital providers; find fintech partners who can sharpen your operational efficiency and respond to customer demands for more innovative services. Rethink your distribution model, as transactions are no longer tethered to a physical location, resulting in the redefinition of convenience. There is little question: The importance of banking branches in relation to digital capabilities has seen a serious decline in recent years. The only question is how your financial institution can best embrace the new service paradigm; it’s clear you can’t afford not to.